COUNTLESS TREASURES from Fall River County & beyond are displayed throughout the museum’s 25 exhibit areas. Imagine life over 100 years ago as you travel back in time. You and your family will be fascinated, and educationally entertained as you roam the halls of this 19th Century sandstone schoolhouse. ORIGINAL ART by local artisans is exhibited, including paintings and sculpted sandstone, alabaster and marble pieces. Hundreds of historic photos of Hot Springs and the Black Hills area grace the gallery walls. Famous prints from days gone by are also displayed, along with rich tapestries and quilts. HANDCRAFTED TOOLS, old washing machines, wood cook stoves, and kerosene lamps the pioneer farmers & ranchers used in their daily lives are displayed here. When you view the doctor’s office, you’ll almost smell the liniment! 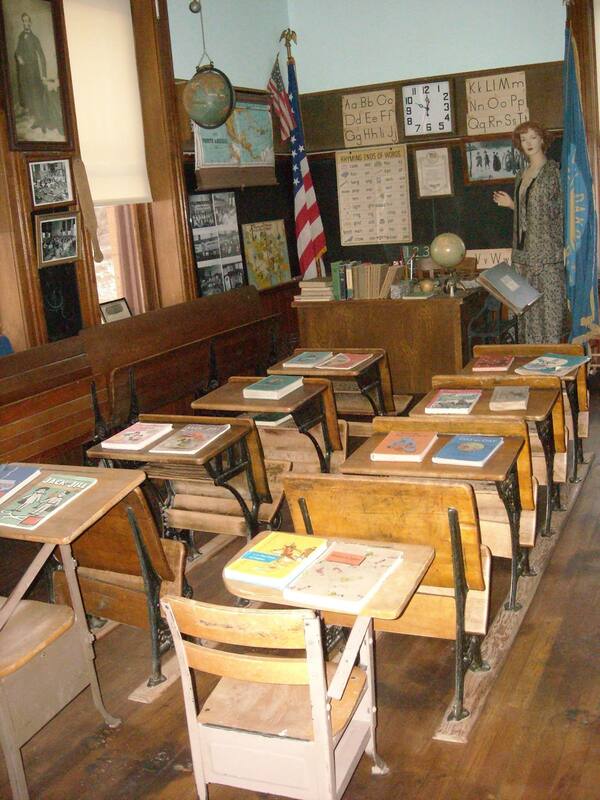 You’ll stand in an authentic 19th-century classroom and visit a country general store complete with supplies!